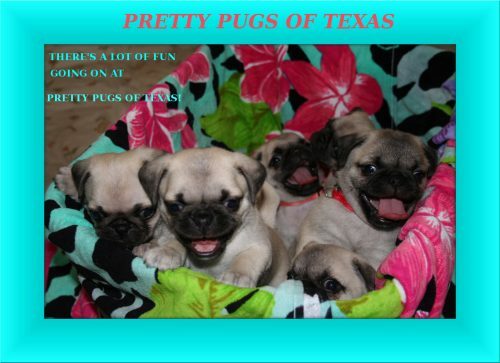 Welcome to PRETTY PUGS OF TEXAS! All our puppies have found great homes. Check back with us this summer for news on upcoming litters. Since 2005 when we got our first pair of fawn pugs, we’ve specialized in raising well-socialized, healthy fawn, black, and white pug puppies. All our pugs have the standard features of facial wrinkles, double curly tail, black mask and black ears (except the white pug puppies and the black pug puppies). Our babies are happy, very spoiled and well socialized in our home, and we only allow them to go to loving, stable homes. We don’t produce puppies on a large scale like some breeders, but instead, we are a small breeder and only do so for Pug quality – not quantity and for the love of pugs. We feel that with a few pug adults, breeding is more manageable and all our pugs can get the necessary care that they need to be healthy, energetic and happy. With this mindset, the pug parents’ and puppies’ needs can be attended to in a timely and consistent manner and not neglected. Therefore, we do not have puppies available all the time; and we definitely do not have puppies available every month like some large scale breeders do. Our pug parents are DNA tested for PDE (pug dog encephalitis). All of our pug parents are on heartworm preventative medicine (except when the females begin their heat cycle, during pregnancy and during lactation), are up to date on their vaccinations and are wormed periodically. 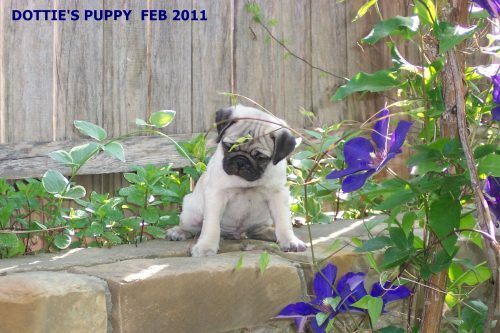 All our puppies come with AKC or CKC (limited) registration papers, one year genetic health guarantee, five-in-one vaccination (canine distemper-adenovirus, type-2-parainfluenza-parvorvirus vaccine), 2 to 3 roundworm/hookworm treatments, vaccine/worming records, pug information sheet and a Pretty Pugs of Texas Puppy Pak that contains a collar, toys, blankie, current diet instructions/food sample, pug advice/care and MORE! 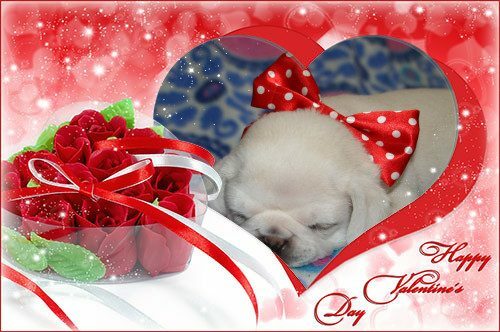 Open your heart to a PUG BUNDLE OF JOY today!